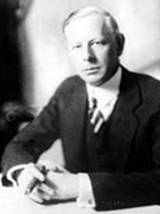 Jesse Livermore is arguably the most prominent trading legend. He had phenomenal success but ended tragically. Being a true speculator and not an investor he experienced also bankruptcies during his life. His basic trading logic was fascinating. You have to search for and build an opinion for a coming major move of the market or a stock, wait for the market to confirm the idea and then enter as early as possible. After that just sit tight, meaning, wait again and withstand temptations to exit early. So, generally he went with the price, not against it like investors often would do. He then, however, liked to hold the position as long as reasonably possible and maximize his gains. Livermore's system or stock market wisdom sounds elegant and straightforward. The strategy requires not much work and offers a relaxed way of trading, but it has clearly a difficult part. How to anticipate major moves and what are these confirmations by the market exactly? As a final note, I always found it amazing that this guy almost hundred years later is still so popular, despite his suicide and bankruptcy. Something must be in his methodology. The same holds true for Nicolas Darvas. He made his fortune about fifty years ago and today he is the icon of many momentum traders. Options Above average? You will still lose!